Exodus is the story of a bush on fire that never burns up, an unarmed shepherd facing the most powerful man on earth, a nation walking through a sea, storms, earthquakes and more. But, as these eight studies show, it is supremely the story of the God who reveals himself, triumphs over his enemies, and rescues, guides, rules, forgives and lives with his people—and who in all this points forward to a still greater, more thrilling act of liberation. This guide is excellent. 8 weeks of study but given the content I found that the 8 week period extended to 12 weeks because of the comprehensive content. This is not a criticism -more of an endorsement. A bonus is the Leaders Guide which is included in the Study. Impressive. We've been using these studies in our women's Bible study group, and have found them really good and helpful, but there seems to be too much material in each study! Not only is it almost impossible to fit into an hour's study, but it's too much for a lot of people to take in at one go. Today we did half of one study and will do the other half next time, but it's taken us a few weeks to decide to do this. 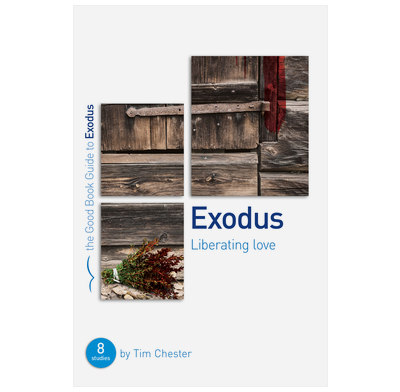 We think that this book would be better if the studies were split into 16 instead of 8, or even 8 studies on Exodus part one and 8 on Exodus part two. The material is so good that it's a shame to try to squash to much in.